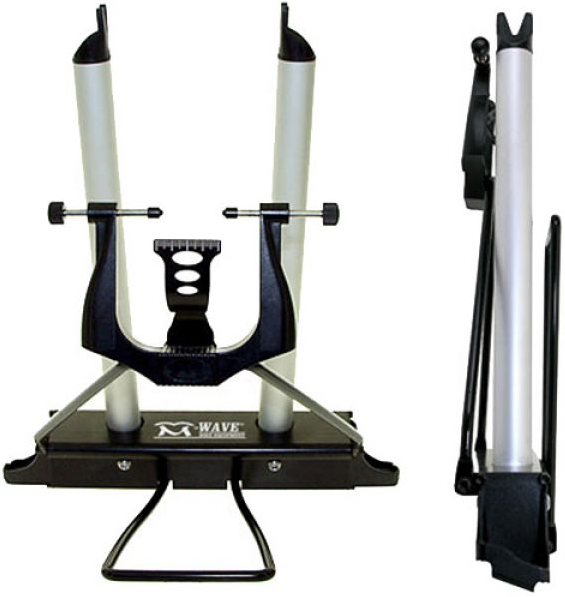 Lightweight wheel truing stand, aluminium and resin construction, excellent for the mechanic on the move! Good for most size wheels up to 28" rims. No need to remove the tyre for truing, except really fat ones. Can be bolted down for permanent installation.